New York City became the comic book capital of the country this weekend as New York Comic Con took over the Big Apple. But away from the roughly 170,000 attendees dressed up as every colorful character from Spider-Man to Darth Vader, comic conventions have also become important for media brands. "It's big business," said Lance Fensterman, senior global VP of ReedPOP, which runs the event. "This is where brands, media companies actually connect directly with fans... passionate, passionate fans. These guys are rabid consumers of content, they have heavy social media presence, and they're savvy. These are people that you want to reach." New York Comic Con, which takes places at New York's Javits Center, has grown from a mere 12,000 fans a decade ago to the legions who jammed the sprawling center last week. "Ten years ago... we were in the basement of this lovely building in one little hall," Fensterman said. "We've kind of come out of the basement of the Javits Center just like our fans have come out of the basement... geek is mainstream." It's also grown with brands looking to not just market content but also make a viral impact with the connected community. This is why the convention was decorated with comics as well as with brand partners like Chevy, AT&T and Pepsi (PEP). And New York Comic Con is just one of many comic conventions that take place across the country. San Diego Comic Con has consistently been attended by some of the biggest studios, stars and filmmakers in Hollywood who look to promote upcoming content for decades. 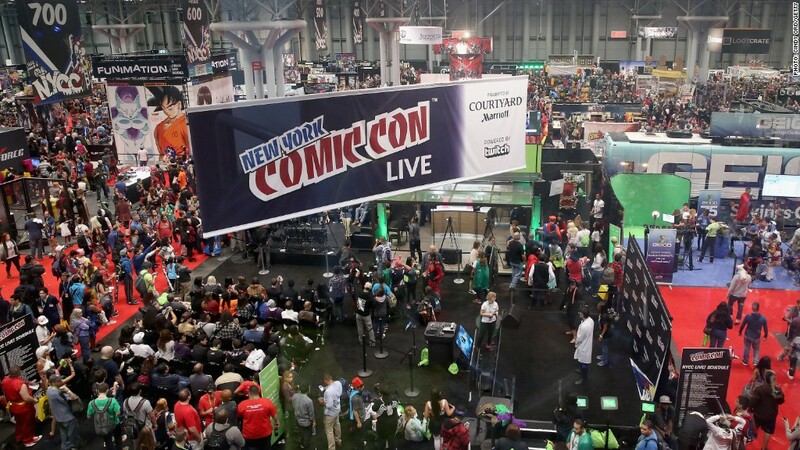 The younger New York Comic Con focuses on the same subject matter as San Diego. But with panels focusing on "The Walking Dead," late night TV, and Netflix (NFLX)'s Marvel series' like "Jessica Jones" and "Daredevil," the East Coast convention could make its name on the changing aspect of TV geekdom. "TV's changing so dramatically... It's a year-round business," Fensterman said. "We've got all of the major TV networks and TV studios, but we've also got Hulu and Netflix and Amazon (AMZN) that are bringing content." However, Fensterman noted that no matter how big New York Comic Con becomes, it shouldn't forget what started it all: comic books. "It's a huge television production city... but I wouldn't lose sight of the fact that it's also the publishing capital arguably of the world and the birthplace of comics," he said.